Moral Stephens has been a part of the Florida Gators football program as long as any other player on the team. He came in under Will Muschamp, then endured three years with Jim McElwain at the helm, but many didn’t even know his name until Dan Mullen took over in Gainesville. 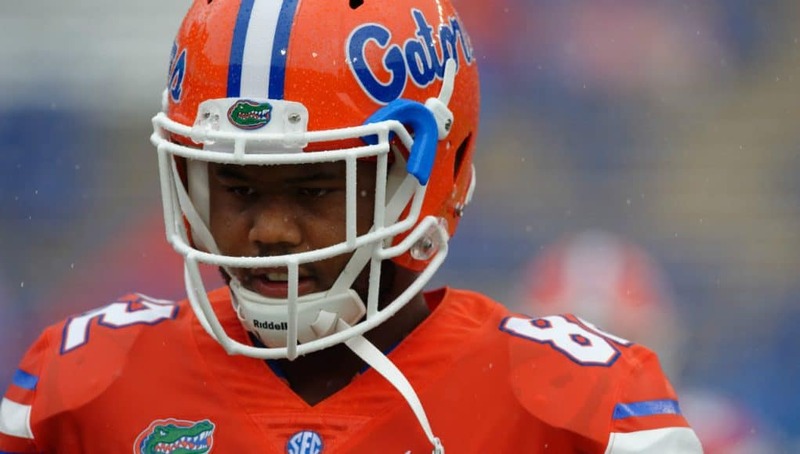 The now redshirt senior tight end had the hands, the ball skills and the athleticism to be a weapon in Florida’s offense from the time he came in, but just never saw those abilities truly develop over his first four years. He hadn’t had a proper training regimen in the weight room, and that let his physicality on the field slip below the level needed for an SEC tight end. Through six games in 2018, the transformation is impossible to overlook. He has six catches this season, and three of those were touchdown receptions. The first came in the loss to Kentucky, but the other two came in key moments and helped push Florida to victory over Mississippi State and LSU. Those numbers are the best of all the Gators’ tight ends, and tie him with wide receivers Van Jefferson and Freddie Swain for the touchdown leaders of the team. Along with that production, Stephens has often been a key blocker for Florida this season, and he believes his improvement in that area helped him catch the attention of his new coaches. It is rewarding for him to see all of that work paying off, but Stephens admitted that he often struggled to remain patient as he watched his career seemingly slip away over his first four years. He knew that potential was inside of him, and he wanted to be able to do more to help the team. When Mullen and his staff stepped in, he felt like they immediately recognized his capabilities, and all that was left to do was show them he deserved to be on the field. He did that, and now all the struggles finally seem worth it. Now that he’s been given the opportunity, he said he wished he had three or four more years left to play in this offense. Mullen feels the same way. Had he been able to develop under Mullen and Nick Savage from the start, Stephens’ career may have shaped out very differently. But he has not let go of his dream to play at the next level. He doesn’t have a lot of time left in that Florida uniform, so he just plans to kick it into overdrive and continue to prove himself every game.